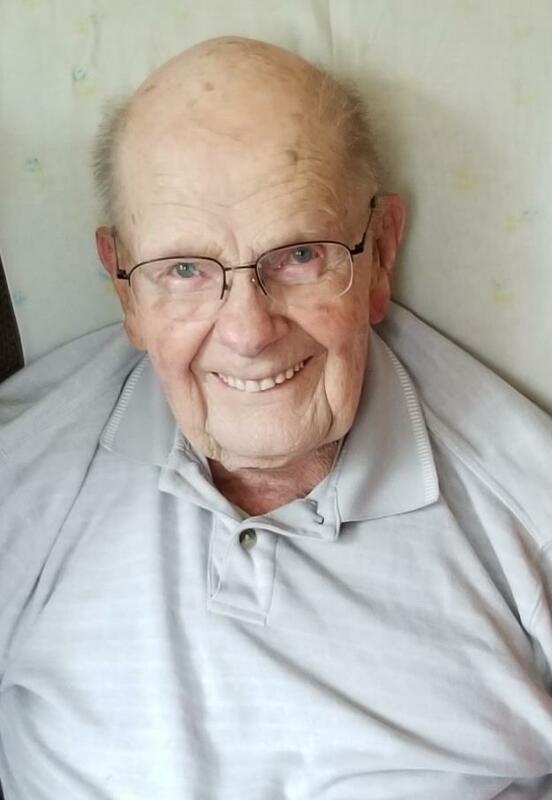 Oliver E. Maki, age 95 of L’Anse, MI passed away on Tuesday, February 12, 2019 at The Lighthouse in Hancock, MI. He was born May 10, 1923 in Mass, MI son of Samuel and Kate (Pirkola) Maki. During WWII he worked in the CC camps. Oliver married Irene Saari in Detroit where he lived since 1943 and worked in a paint factory and a fence company. He returned to L’Anse in 1992. He did house painting for friends and family and helped wherever he could. He could fix anything. He was an artist in various mediums, jewelry maker, engraving gun stocks, drawing and making clocks. Oliver was a member of the L’Anse Golf Club and was passionate about the sport that he picked up at 70! He golfed every day the course would let him play. Oliver was a favorite with his extended family as he loved kids and entertained them with a song or handstand. He was quick with a joke and had a smile for everyone. Surviving are his daughters, Katherine (Wes) Kaurala of Baraga & CA, Laura (Paublo) Barrera of CA; grandchildren, Maryellen (Andre) Vuilleumier of CA, Jay Clish of CA, Corey Clish of Dearborn, MI, Todd (Kim) Barrera of FL, Stacie (John) Hatfield of CA; great grandchildren, Adam, Kate, Heather & Dylan; many nieces and nephews. Preceding him in death are his parents; wife Irene; partner Maeme Joki; 11 siblings; sons, Buddy and Roger. A memorial service will be held in the spring at Jacobson Funeral Home. Friends may sign Oliver’s guest book or send condolences at www.jacobsonfuneralhome.com.